IHA chatted with ecommerce expert Terri Pucin, of FitForCommerce to learn about the latest thinking in onmichannel marketing which she will discuss at the 2019 International Home + Housewares Show. At the Show, the Innovation Theater will feature 21 presentations over four days. Topics discussed will include smart home, consumer shopping preferences, branding and global market trends. Terri Pucin is a senior Consultant at FitForCommerce with more than 20 years of experience in building integrated omnichannel customer experiences for major retailers. 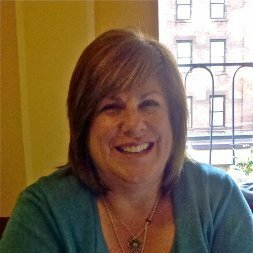 With a unique background in digital commerce as well as brick and mortar stores, Terri works with FitForCommerce clients to build customer-centric solutions across customer experience, process and operations and technology. Prior to joining FitForCommerce, Terri was the divisional vice president of ecommerce at HBC. As a member of the digital executive team, Terri managed a global team of 50 people and led the ecommerce business for Lord & Taylor and The Bay. Terri was also vice president at Barnes & Noble, where she was responsible for architecting and incorporating multi-channel initiatives designed to provide customers with a unique retail experience across all channels. She led the launch strategy of nook™ in stores – the most successful product launch in the organization’s history. During her tenure at Barnes and Noble she designed and implemented a new multi-channel customer shopping experience (store, online, mobile) that yielded $40M in annual sales. Terri’s most recent work at FitForCommerce has included A&E Networks, Alexander Wang, Barnes & Noble, Guess Jeans, Iconix, Revman/Kaltex, Stein Mart, and Swavelle/Mill Creek Fabrics, SVP Worldwide and Tailored Brands. Terri, what is the most exciting or rewarding part of your work? I love learning about customer behavior and motivations; and being able to use that information to create unique solutions for our clients. I really enjoy the variety of experience I get by working with clients across all kinds of industries. Launching “buy online, reserve in store” several years before any other retailer. At Barnes & Noble, we were looking at ways that we could use our stores as a competitive advantage. It was imperative for us to become an omnichannel retailer before any other retailer was even beginning to think about how to compete in a digital world. I think it is the rapid change of technology. There are many new solutions out there; it is hard to keep up. At FitForCommerce, we build in sharing time during our weekly calls, where consultants share new innovations they have learned about. 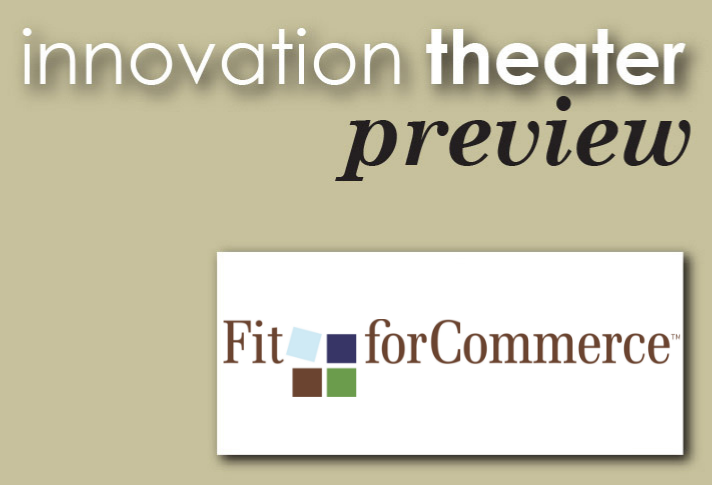 In addition, FitForCommerce schedules spotlights to cover new trends. So, I’m constantly learning from other consultants on our team and outside experts. I am looking forward to seeing if the customer journey information resonates with the audience and the type of questions they will have. Terri, tell us what you will be speaking about and how this topic is important for Show audiences. I’ll speak about how important it is for brands that are embarking on a direct-to-consumer strategy to understand their customer journey. Customer journey mapping will ensure a brand understands the best way to address their customer’s needs. I think customers are concerned about picking the right housewares for their needs amidst the variety they have to choose from. Customers are always looking to be educated so that they know about the latest technology and features available. In the demanding 24/7 workplace, can you share any tips for how to de-stress and find personal time and balance? I clear my head with tennis and golf. I love playing tennis both for fun and competitively. When I’m on the tennis court, I need to forget all about work and concentrate on hitting the ball and strategy. I always come home relaxed and a little tired. Golf is similar, where I can concentrate on the game with the added attraction of some beautiful scenery. Thank you, Terri, for sharing your professional insights and personal tips for how to relax and refresh in today’s round-the-clock work environment. We look forward to learning from your experience to help housewares executives craft the customer journeys that will benefit their omnichannel strategies. Learn from experts about how to invigorate your new products and services by enhancing your innovation efforts. Be sure to attend the free executive-level educational sessions at the Innovation Theater to learn about consumer purchasing behaviors, home lifestyle trends and developing products for health and wellness. These programs will give you a fresh perspective as you walk the Show and will inspire, inform and improve your business. All programs will be audio-recorded and will be available at www.housewares.org after the Show.